(Host) In Chester, plans to build a dollar store have stirred up some members of the community who say the project isn’t in keeping with the town’s character. Many turned out last night as the town’s Development Review Board met to review the plans for the store. 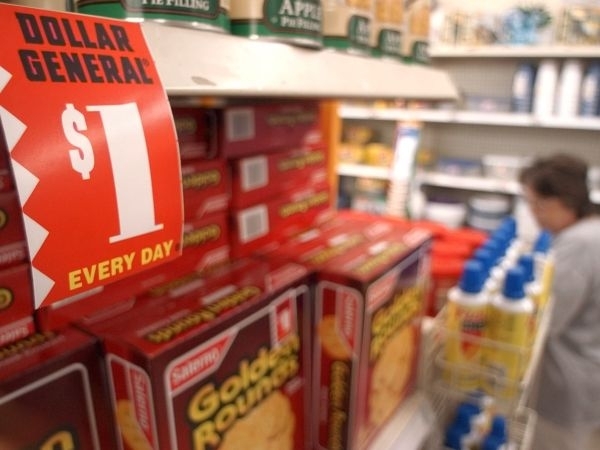 (Zind) Two national chains, Family Dollar and Dollar General, are expanding rapidly in Vermont. The Dollar General store proposed for Chester would be a 9,100 square foot building that would go in at the edge of the village where a sign currently welcomes people to quote, "The Vermont You’ve Been Hoping to Find." Development Review Board Chair Peter Hudkins made it clear to the roughly 40 people in attendance that Monday’s meeting was the last in a succession of board hearings that have given residents plenty of opportunity to weigh in. For that reason, the board decided not to open the floor to comments. (Hudkins) "You had August, you had October, you had November, you had December and you had February." (Zind) The board spent over an hour going through changes to the stores plan with several representatives of Dollar General. (Dollar General engineer) "This is our original site plan." (Zind) The discussion revolved around drainage and sewer lines, noise levels and traffic. But at one point board member Scott Wunderle took the unusual step of speaking against the proposal. Wunderle praised Dollar General for responding to the town’s concerns about the building design and site plans, but in a prepared statement he said a national chain store would not fit the mix of locally-owned businesses in Chester. (Zind) Matt Casey is with a Cleveland based developer that has built Dollar General stores in Ohio and Pennsylvania. He responded. (Casey) "Dollar General wholeheartedly wants to become part of the community and wants to operate in it in the same way any other retailer or business does. They want to participate in the Chamber of Commerce and be active in events. They want to be part of the Chester fabric." (Zind) The Development Review Board has 45 days to reach a decision on the Dollar General application.